Welcome back! 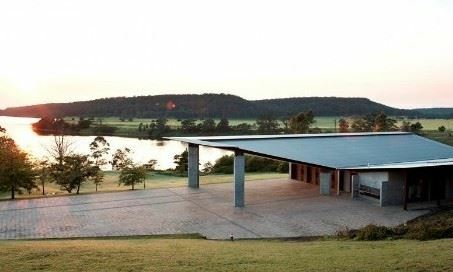 2019 is shaping up to be an exciting year at the Shoalhaven Business Chamber and this newsletter will highlight a few things we have coming up for you to be part of. I have been giving some thought to the reasons why people join the Shoalhaven Business Chamber and in addition to the outstanding networking opportunities we provide and advocacy to all levels of government on the issues that affect you, I also believe it’s about opportunities. The opportunity to hear about important events, grants, training, programs, awards and groups that are extremely relevant to you and your business. Each month SBC representatives meet with politicians, department leaders, business & industry leaders, RTO’s, the media and many more stakeholders to bring the very best opportunities your way. We are also working on a few of our own and I look forward to sharing more information with you about those as they take shape. It’s a great time to be a member of the Shoalhaven Business Chamber! Are you our Awards Manager? The Shoalhaven Business Chamber is requesting expressions of interest (EOI) from experienced and qualified Event Management specialists to manage the Shoalhaven Business Awards for 2019. This will be the regions 35th Annual Awards. The Awards program runs from May through to August 2019. Preparation is already partially underway, but we also need a superstar Awards Manager to join the team. For more information please check out our AWARDS MANAGER AD on our website. We will be keeping you, the website and Facebook up to date with the events as we book them in so you can save the date. The 2019 Nowra Show will be held on February 8 & 9 2019 and an opportunity now exists for local businesses to exhibit for no cost. We will have a mini business expo in the gymnastics hall to showcase the goods and services on offer in the Shoalhaven – as well as the job opportunities available locally for school leavers. In addition to a free space for your stall, exhibitors will be allocated two free entry tickets to the show for 2 staff members or volunteers to man your stall. If you are interested in this opportunity please email us ASAP as spaces are limited. SafeWork NSW and the Shoalhaven Business Chamber are running a FREE safety workshop in Nowra for small business. We know that managing health and safety in a small business may seem challenging. The NSW Government is committed to making it easier for NSW businesses to manage health and safety in the workplace. The Easy to do WHS program provides practical advice and support to help achieve this. This FREE workshop, delivered by SafeWork NSW and supported by Shoalhaven Business Chamber is targeted to help small business owners (less than 20 full time workers or equivalent part time/casual), including sole traders, understand what good practice work health and safety looks like, and how to create a safer, healthier and more successful business. · Work through your own business needs to identify your health and safety actions and solutions. · Qualify for a $500 small business rebate for eligible small business who install safety solutions to improve in their workplace. Click here to view program terms and conditions. · Have your questions relating to work, health & safety, workers compensation and return to work answered by a specialist. A window and gutter cleaning business from Nowra received $480 for a ladder and fall arrest system to work safely at height. A refrigeration and aircon sales business in Wollongong received $500 for racking, safety barriers, signage and a trolley to help prevent falls on the same level. A café in Wollongong received $252 for ergonomic office furniture to prevent muscular stress. An electrical business in Kiama received $500 (out of pocket $320) for double sided ladders to work safely at height. On Wednesday 20th February from 6pm we have our Annual Super Dinner at Riversdale. Proudly sponsored by the University of Wollongong this event is at an amazing location with catering supplied by Duck Duck Goose Catering. Whether you are a new member to the Chamber, or haven’t reviewed the benefits recently, we encourage you to see what some of those benefits are. If you have any questions on any of the benefits and how you can access them, please contact Jeni at the Chamber Office. SBC Representatives met with the RMS, Local Government stakeholders and State MP’s to discuss our proposed design for the northern intersection of the Nowra bridge project. The design includes a left turning lane out of Illaroo Road and a flyover lane from Illaroo Road that connects with Bolong Road. From here, it involves the removal of the lights for left turning traffic over the bridge in order to achieve a 30 year traffic solution – not one that will see us back to our current levels of congestion in the next 5-10 years. We have emphasised that this is just one possible solution for grade separation and we would like the RMS to consider the viability of this option and share their findings. This design is based on the feedback of more than 75 members of the Shoalhaven Business Chamber and is consistent with the position of other key stakeholders in the community. The RMS have given an undertaking to consider this design and respond in early 2019. 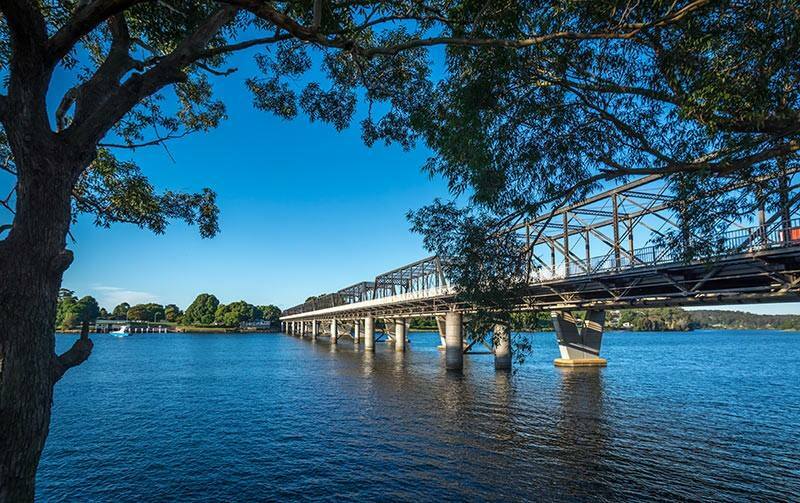 Our concern is that while their brief is to replace the bridge, proper treatment of the intersections are also required to alleviate the bottleneck at the Nowra bridge and cater for future growth and development. While options are said to be being considered to make upgrades a part of a theoretical ‘stage 2’ in the future, we are concerned that these ‘upgrades’ will be considered too difficult or costly and will never be completed. By spending an additional 10% now the job could be completed. Our concept was designed to have the least environmental impact and impact on property as possible, we simply want the best outcome for the future knowing that the construction phase will be difficult for many and that a western bypass is likely to be at least 3 decades away. We look forward to receiving the feedback of the RMS and thank each of you for your ongoing interest in this issue. It has certainly been a major issue for our members and the wider community!